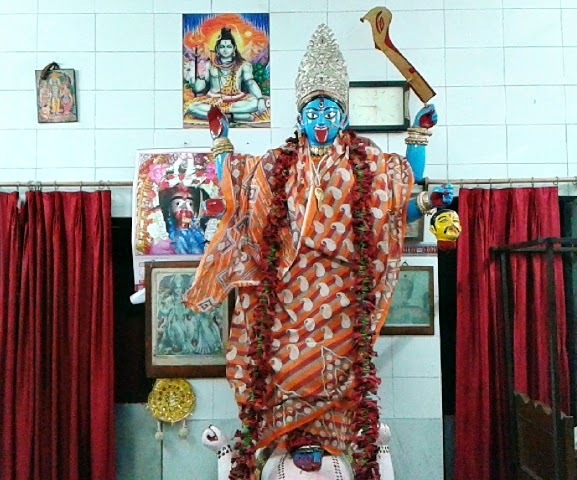 Thakur Lokenath Baba’s Birthplace & Temple details of Chakla (West Bengal) along with location, route / path map, Bhog Coupon, nearest accommodation in Chakla Dham, festival & Puja (Utsav) dates schedule at Lokenath Baba Mandir Chakla (Kachua) Dham. 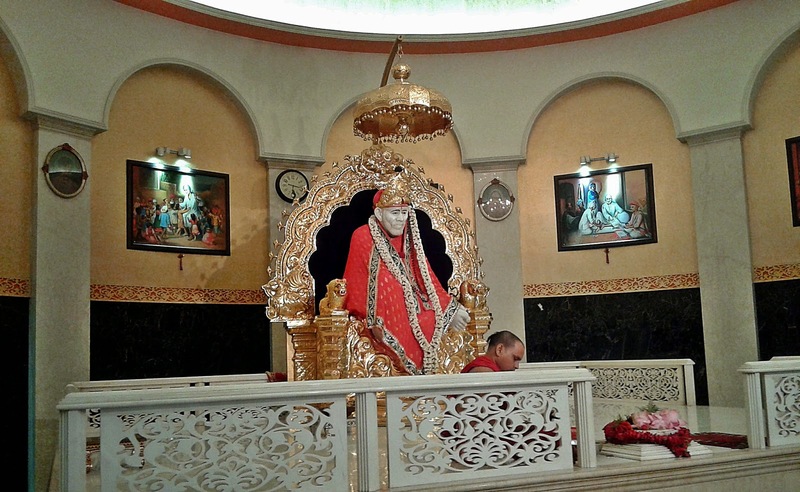 There is a bit controversy with the Lokenath Baba’s Birth Place in West Bengal. Some followers of Lokenath Baba say Kachua and some say Chakla is the place of birth of religious Guru of Bengal Lokenath Baba. Where is Chakla in West Bengal? 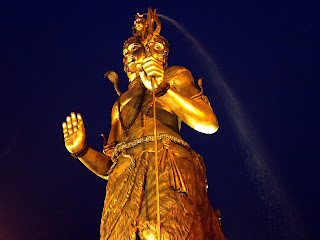 Chakla is a small village located in 24-Parganas district of West Bengal and in recent days its getting developed, as Chakla is a well-known Religious Tourist Place of Bengal for Lokenath Baba Temple. Though Chakla is a small village and not having much attraction still every Bengali know the name ‘Chakla Dham’. It’s famous world wide for the Temple of Lokenath Bramhachari Baba (Thakur / Guru Ji). 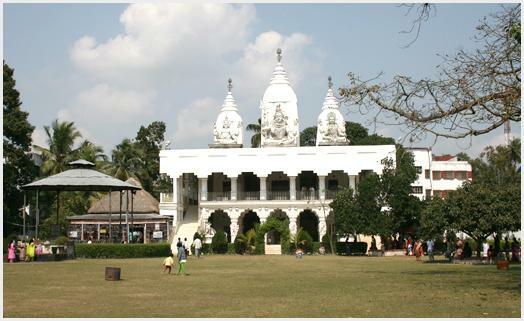 Since, Chakla is the Birthplace of Lokenath Baba; every follower of spiritual guru Lokenath Baba tends to visit Chakla Temple in Bengal’s 24-Pgs (North) District. 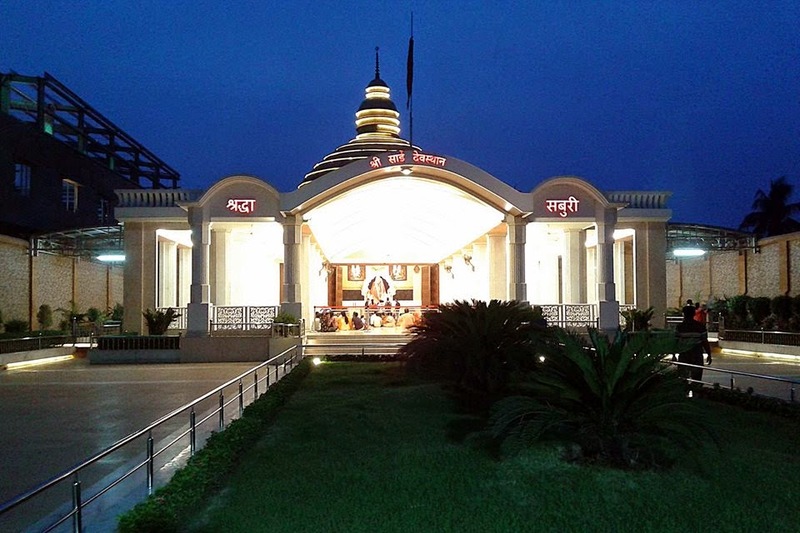 Lokenath Baba’s Temple Chakla Dham having more than 2 acres of place in which the Lokenath Baba’s main temple is situated and there are Sales Counter of CDs, Books, Photos of Lokenath Baba etc, Large Hall for serving Daily Bhog Prasad, The whole Temple is made by marble. There was a Car Parking Pace available in front of the main gate of Chakla Dham. Visitors of Chakla Temple can have the Bhog at the Chakla Temple daily during the noontime by showing their Bhog Coupons. The Bhog Coupon Ticket prices are of Rs.10/- for having Khichuri, Vegetable & Payash and of Rs.51/- for having Dehradun Rice, Vegetable, Payash in the 2nd floor. Bhog Tickets should be collected between 9am – 12:30pm from the Chakla Temple’s Bhog Counter. The Chakla Sevashram provides the opportunity to spend few days or hours in their lodges at affordable rate. It means accommodation at Chakla Temple is good. Many retail shops, Sweet Shops, Flower shops are there beside the road to Chakla Dham for purchasing desirable product for family and prayer need. 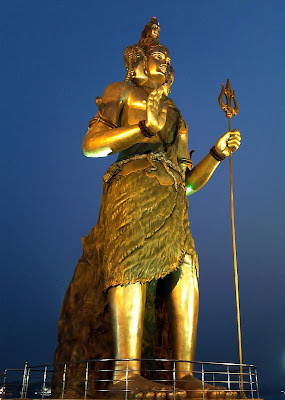 Chakla Temple of Lokenath Baba is not too far away from Kolkata and well connected via Roadways. 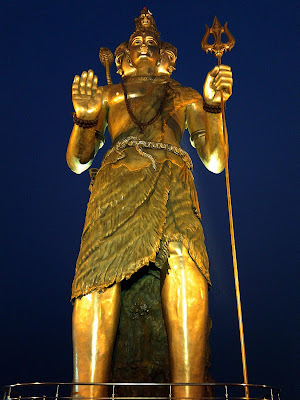 Tourists can hire a cab/taxi to reach Chakla Temple easily. 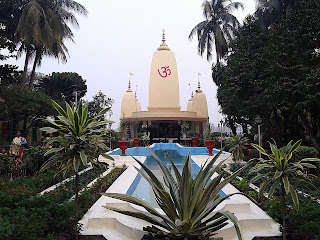 Railway Route to Chakla Temple: By Train from Sealdaha or from Bongaon/Habra; one should come to GUMA Railway Station and then take Auto to Chakla Dham. Roadways route to Chakla Temple: Tourists may follow Jessore Road while coming from Kolkata or Habra/Bongaon and they should take turn at the crossing of Guma on Jessore Road and then look for Badar Bazar area after which Chakla Village will come. If any one coming from Hasnabad / Basirhat area or coming from Taki Road then should take turn from Berachapa More on Taki Road. The main temple of lokenath baba opens everyday once in morning and once in afternoon till 7pm and visitors, followers, tourists may offer daily puja / prayer to Lokenath Baba. Normally Puja Thali cost starts from Rs.10/- available outside the Main Gate of Chakla Temple, which is known as Dala-Market. And in special occasions like Lokenath Baba Birth Day (Janmotsav), Lokenath Baba Tirodhan Day (19th Jyestha) and other religious days the Chakla Sevashram organizes special Utsav in which thousand of Lokenath Baba followers come for holy cause. • Address: - Chakla, P.S. Deganga, District-24 Paraganas (North), Pincode-743440, West Bengal. • Email: - enquiry@lokenathbaba-chakla.org (Ask general inquiry) & donation@lokenathbaba-chakla.org (for donation purpose). • Phone Number of Chakla Temple: - 03216 247 404, 03216 213 260. 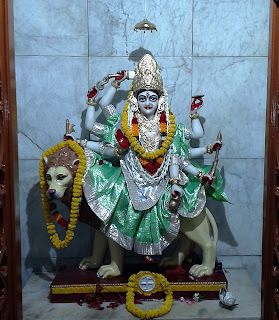 Tag: Chakla Temple Bengal, Lokenath Baba Temples in Bengal Kolkata, Birth Place of Lokenath Baba, Spiritual Guru Lokenath Baba Mandir near Kolkata Chakla Dham, Route to follow to Chakla from Kolkata.